The Dior Bar suit is one of the most influential designs in the history of fashion. On February 12, 1947, Christian Dior presented this voluminous skirt combined with a jacket featuring a tiny waist, a pronounced bust, and enhanced hips in his first collection in the salons of 30 Avenue Montaigne. After the show, the editor in chief of Harper’s Bazaar, Carmel Snow, exclaimed: “It’s quite a revolution, dear Christian! Your dresses have such a new look!” The phrase made headlines. Dior’s New Look transformed the zeitgeist of a postwar France and heralded a storied career for his label. The New Look was an immediate sensation, and everyone wanted to wear the silhouette that Dior was later to describe as “the return to an ideal of civilized happiness.” Almost seven decades after its creation, the New Look revolution and its spirit continue to inspire the House of Dior. 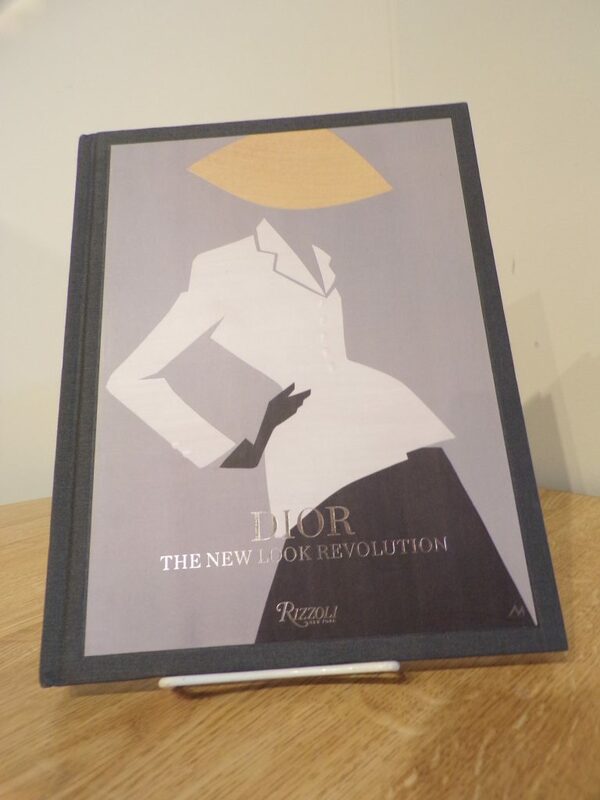 Published to accompany the Dior: The New Look Revolutionexhibition at the Musée Christian Dior in Granville, France, this stunning volume presents a rare collection of images that illustrate the Bar suit, from the initial sketches drawn by Christian Dior to the sartorial perfection of the completed outfit, as well as the many versions it has inspired. From Yves Saint Laurent to Raf Simons, season after season, the designers of Dior have interpreted the legendary curves of the Bar suit, dreaming up bustier versions, designing it in woolen denim, or adorning it with masculine prints. With exquisite photography and insightful text surveying over sixty years of Dior’s sublime reinvention, this book is a must-have for followers and students of fashion.